BINGA businessman Taurai Marava, who has a long-standing battle with the Zimbabwe Parks and Wildlife Authority (Zimparks) over fishing rigs, appeared in court yesterday for allegedly fishing in Lake Kariba without permits. This comes a week after Marava had taken Zimparks to the High Court, demanding damages of over $210 000 for his impounded fishing rigs. He won the case at Bulawayo High Court after Justice Maxwell Takuva ruled in his favour, slamming Zimparks actions as absurd. The war has since changed turf from the civil court to the criminal court. 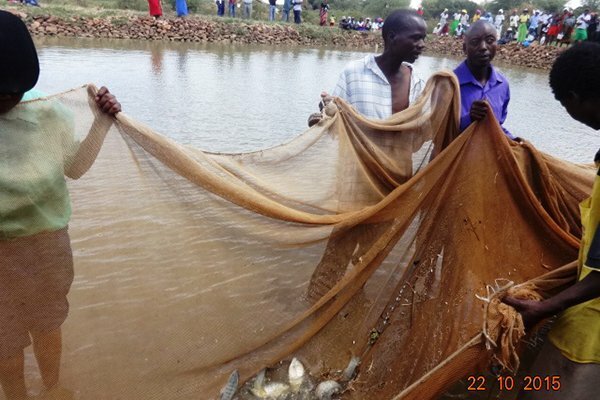 (fishing without a permit) before Binga magistrate, Talent Phiri. made a part payment of $400. He said an invoice was an acknowledgment of a list of goods sent or services provided, with a statement of the sum due for these; a bill hence Zimparks gave him the two permits which were awaiting collection after payment of the full amount. “I do have two permits as indicated by the invoice where I did part payment of $400,” he said in his warned and cautioned statement. The matter was postponed to tomorrow for trial after Zimparks indicated that they wanted to seek services of an expert in issuance of invoices. Prosecutor, Bruce Maphosa said on April 8 at Lokola Sand Beach area in the Zambezi River, Munenge and Changwambala, who are employed by Marava as rig captains, were on Lake Kariba fishing for kapenta. On the same day, Zimparks rangers, Absalom Matuka, Philani Dladla and Ismael Phiri who were on patrol intercepted the pair’s fishing rigs KF2944 and KF3026. The rangers allegedly discovered that the accused had no fishing permits and arrested them. The pair had 45,5kg of semi dry kapenta and 15,7kg of dried kapenta worth $916,50. The two rigs were impounded and fishing nets removed. The post Businessman in court for fish poaching appeared first on NewsDay Zimbabwe.